The only instant Organic Coffee with Organic Ganoderma lucidum Spore Powder. The deep, rich, and bold flavor is enhanced with rare and exotic organic Ganoderma Spore Powder. 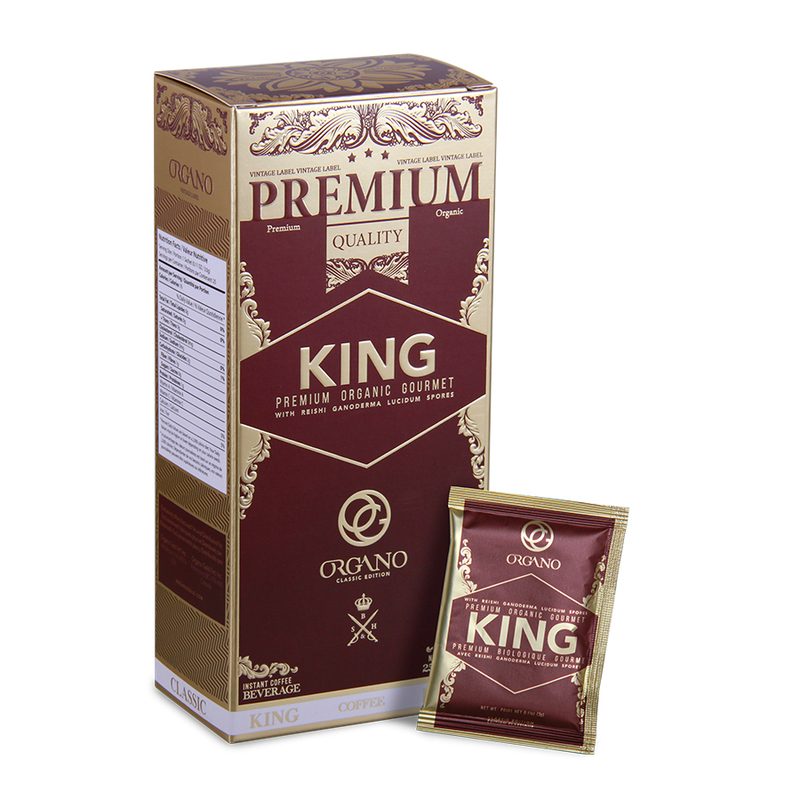 Organo™ Premium Gourmet Organic King of Coffee is a robust Arabica blend that mixes in an instant for a flavorful cup of coffee. This OG coffee also contains Ganoderma lucidum spores powder for added benefits and a hint of nutty flavor to balance the rich, bold and smooth flavor of this coffee. The Ganoderma mushroom is one of the oldest mushrooms to be used in Chinese herbalism, ranking close to ginseng for years of usage. It is one of the most researched mushrooms, partly because in Ganoderma there are substances called triterpenes. These are found in many foods and plants like honey, apples, and cranberries. There are 50 of these substances that are exclusively found in ganoderma mushrooms. When the Ganoderma lucidum mature, they release spores which are used for our Premium Organo King of Coffee. Ganoderma spores are expensive not just because of their nutrients, but also because harvesting them has to be timed just right and how the spores are ‘opened’ directly impacts the quality. Spores are impossible for humans to digest due to their hard coating. In order to open, they must be carefully”cracked” and not spill out any of their precious and microscopic contents so that our bodies can digest the spores. Organo™ Ganoderma spores are made in a unique way where the outer shell and inner protective lining of the spore are both ‘cracked’ to ensure clean, pure spore powder. Other companies can do a simple one crack process that allows some of the inner shell to be included in the powder, making it less pure. 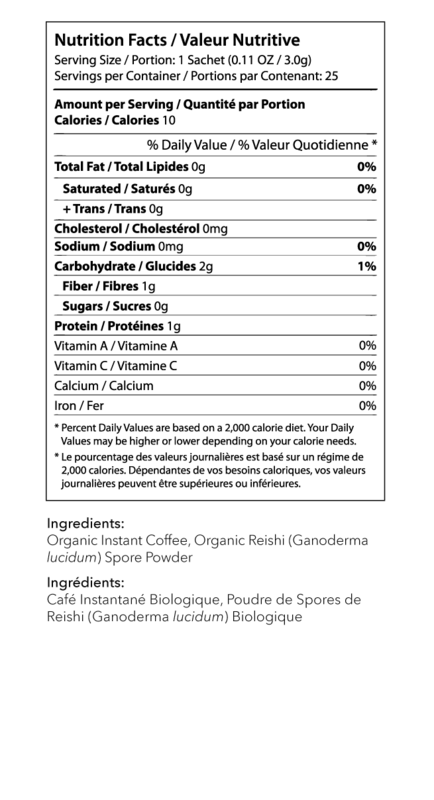 Additionally, the Organo™ spore powder is Organic. 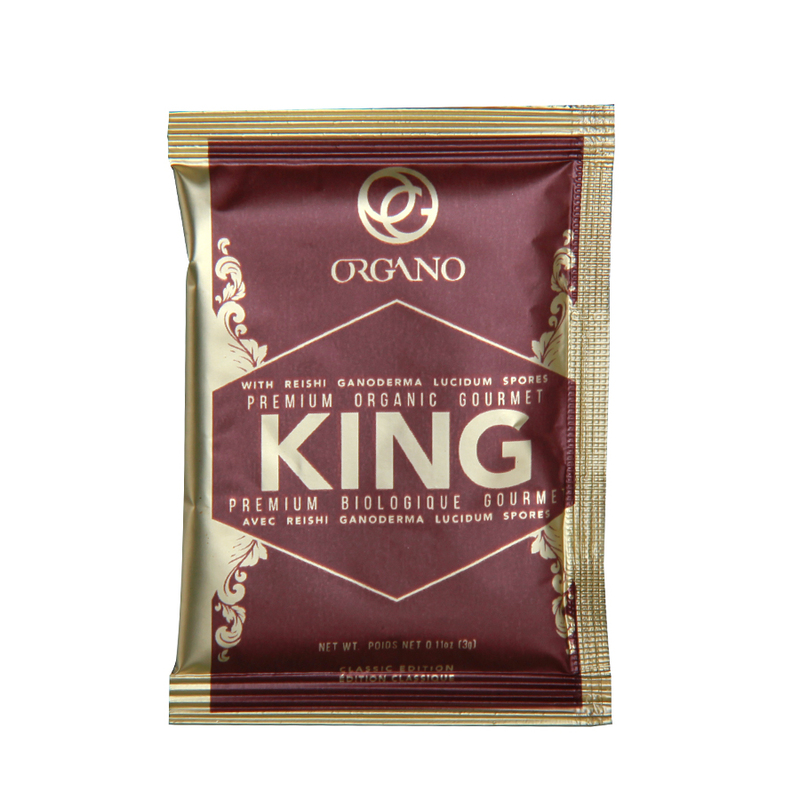 Organo™ Premium Gourmet Organic King Of Coffee – provides Organic coffee, Organic Ganoderma lucidum spores powder for a daily beverage.